Everyone is commenting on how social media in UAE and even around the world is bringing about some pretty notable changes in how people conduct businesses. This mentality has led many business to assume getting into social media marketing is a walk in the park. They assume that it’s all about creating content and posting. They thus fail to give attention to the different manners in which to present their content across the different platforms. There is a tried and tested strategy that will prove beneficial in bringing returns to your social media efforts. You need to be willing to follow through the tips we give you for the best results. Your journey in writing effective social media copies in UAE starts with realizing that each social platform is differentiated hence content needs to vary across the channels. For instance, you cannot apply numerous visual ads campaigns on Twitter and ignore the same on Instagram. This means you need to know how to switch across the different social media platforms and remain relevant. Take it easy though; we are here for you – we’ve fully got your back! The word ‘differentiation’ has become over-saturated and probably lost its meaning to most people. What does it really mean to differentiate content across the different social media platforms? Blogs can be structured differently across different social channels to bring about the desired results as well as convert to sales. Being the oldest social media platform, Facebook is obviously the most popular social media in UAE. It undoubtedly carries the largest numbers worldwide with the third quarter of 2018 recording over 2.27 billion monthly active users. With such a massive user base, it would be foolhardy and injudicious to ignore proper marketing techniques on this channel. Recent changes and new algorithms are also set to increase Facebook use especially amongst businesses for marketing and advertising purposes. Facebook not only allows you to create your own peculiar content, but it also enables you to share useful industry news and information that could benefit your users. The platform also enables you to create your own videos and share them. What’s more, you can now host a live event on Facebook and still get a substantial audience. Just like WhatsApp, Facebook allows you to post status updates which disappear after 24 hours. This means could be used to frequently remind your customers and followers of the different product collections in your store. It doesn’t end there; Facebook also gives you a chance to post infographics and even follow through your own stats and analytics. If ever there was a better way to market your product or service, then the Internet could not have offered a better solution – long live Facebook! Here, marketers can post regular short status updates of around 280 characters or less. Twitter is best when content remains short, precise and to the point. Don’t try too hard in your promotional strategies here as the audience here will see right through it. Twitter is a sea of information that’s waiting to be read, followed, clicked and even re-tweeted. Since Twitter gives you a small number of characters with which to market your content, you need to make them count as much as possible. The first thing to consider is how to bring about an attractive appeal. You need to be extra enticing if you are to catch the eye of users on Twitter. Remember the audience here is mostly mature and falls under the working class. They have thus “seen it all and heard it all”. To appeal to such an audience calls for extra – whether it’s extra humor, extra informative or added beauty – you just have to do extra. As you construct your tweets, make sure that even you would want to click through it time and again. Another tactic while on Twitter is making use of popular persons’ quotes or even very appealing ones. This can be presented in wording form or even using photos. You can also use questions to the links you are tweeting about to enable people to read more. Incorporate statistics, polls, gifs and even videos to give more credibility to your content and even enable better reception from your audience. At the end of the day, you need to remember your followers are still here because they like what you have to offer – don’t go ahead and disappoint them! Remember to keep building and maintaining the relationships built. Welcome to the photo world – where you get the perfect photos for just about anyone and everything. This social media in UAE has had the masses, especially the young millennial, absolutely carried away. Not only is it addictive, but it also is extra beneficial in creating awareness for a business. 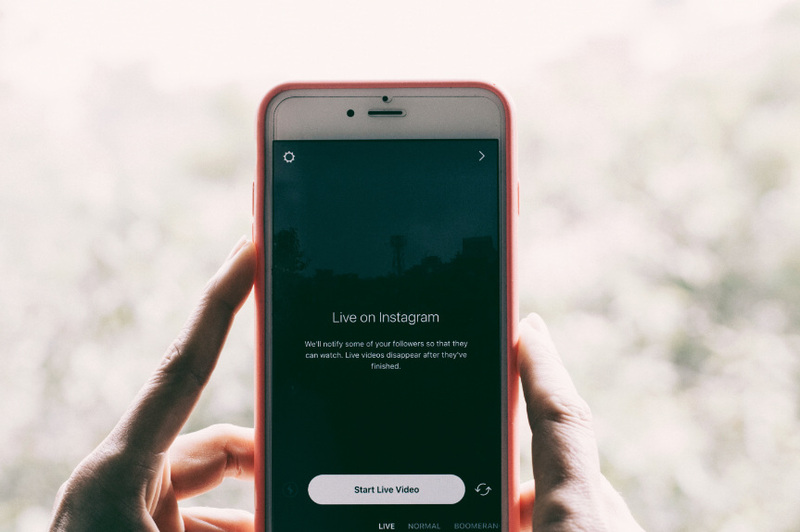 Instagram could just do it for you if you optimize on bringing about relevant pictures that clearly define your brand. These could be occasionally backed up by appropriate hashtags which conform to whatever content you have posted. You could then try popularizing the hashtags which eventually gets your business known and talked about. Create the right impression using images on an occasional basis on Instagram and you instantly set yourself on the right track. Often referred to as the “job seekers world” – LinkedIn is continually gaining base as the leading social media network that’s connecting job seekers to searching employers. Nonetheless, you can make use of the site even if you’re not seeking to diversify your employee base. LinkedIn is different since it will enable you to get professional thoughts as well as get access to other businesses. The best tool to utilize when it comes to LinkedIn is the vast LinkedIn groups which give you access to like-minded people. Here, you will engage with persons from your industry and get insights, answers to questions and even extra information that will help you in strategizing. It’s time to join the groups and get the conversations flowing. If you have come about the phrase, “A picture will speak a thousand words,” then you need to chew on it more. As a matter of fact, across the different social media in UAE, one thing stands out – the use of visual effect has by far surpassed the use of mere words and descriptions. This will also work for you since you will experience a deeper form of engagement from your audience. Whether you are on Facebook, Pinterest, Instagram or even Snapchat, a deeper focus on visuals will surely set you somewhere in your niche; what are you waiting for? The first thing that grabs your audience’ attention in whatever social media in UAE is the headline used. You could have gimcrack content headed with a captivating headline and still get to more leads to your site. This is because the headlines are what will lead people to your site while searching. As you develop your curated content, aim to back it with search engine optimized headings. This could be achieved through A/B testing to see which title generates the highest number of clicks. Your ad copy needs to be short yet full of details. You should clearly answer the 5 Ws: who, what, why, when, and where. You start by communicating who you are, what you have to offer then you explain why you need to offer that or exactly why customers ought to look for you. You can then back this information by explaining when and where your services are offered and how they can be accessed. This is a clear ad copy that leaves your viewers with lesser questions to ask. In case they have more questions, include a link leading back to your site where they can get detailed information about you. “Manners maketh man,” goes a popular quote from the popular lead Box Office movie, The Kinsmen. This couldn’t be further from the truth in marketing in UAE. This is one strict market that calls for targeted and clearly defined marketing strategies. For instance, your goal while in some other country doing business could be to get more mentions on Twitter. However, while in the UAE market, numbers are crucial and hence you will be needed to define your goals using numbers; e.g. 76% increase in brand mentions on Twitter. In other words, you need to have a vivid digital marketing campaign plan. 96% of the population in UAE is said to be online and the region can boast of being a digital market after a 2015 World Economic Forum’s Global Information Technology Report indicating that the UAE has the 2nd highest internet penetration worldwide. Businesses, therefore, need to recognize the varied digital transformations in all their marketing campaigns. For instance, businesses can make better use of analytics to source for information and also better their service delivery. Media tools could also be used to provide better content and even websites simplified to fully integrate across different devices hence provide for more interaction. Writing effective social media copies in UAE is more than just coming up with awesome content; it also about making that content clear and fun for your audience. It also involves following through industry news and providing timely information in a consistent manner. Marketers will also need varied approaches to make a breakthrough across the different social media. Finally, marketers need to stay up to date with the latest digital transformations so as not to be left behind in their strategies.